Home of Sevening Landscaping, Omaha's preferred landscaping company! 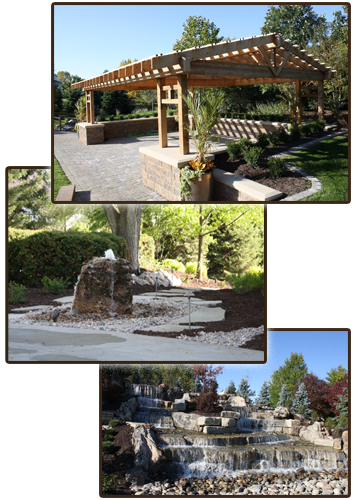 Sevening’s Landscaping has been serving Omaha for over 18 years. We specialize in complete turf management and custom landscaping for residential and commercial property. We are fully insured, certified, and licensed for our year-round seasonal services. We pride ourselves in having the owner/operator “onsite” at all times to ensure we have met or exceed the customer’s needs. Take a look at what we have done in our photo galleries or read some testimonials from a few of our customers. Our mission at Sevening’s Landscaping is to consistently exceed our customer’s expectations with affordable elegance combined with unmatched customer service. We understand that people have expectations, hopes, and even dreams of improving their surroundings. Our staff of certified landscape designers are dedicated to bringing those dreams to life through creating landscape design and maintenance. You can expect and envision more with Sevening’s Landscaping! Copyright © 2008-2011 Sevening Landscaping, All Rights Reserved.